Are you looking for a great selection of new and used SUVs for sale near you but are not sure where to start your search? Then you need to visit the Acra Automotive Group dealerships for your next vehicle. 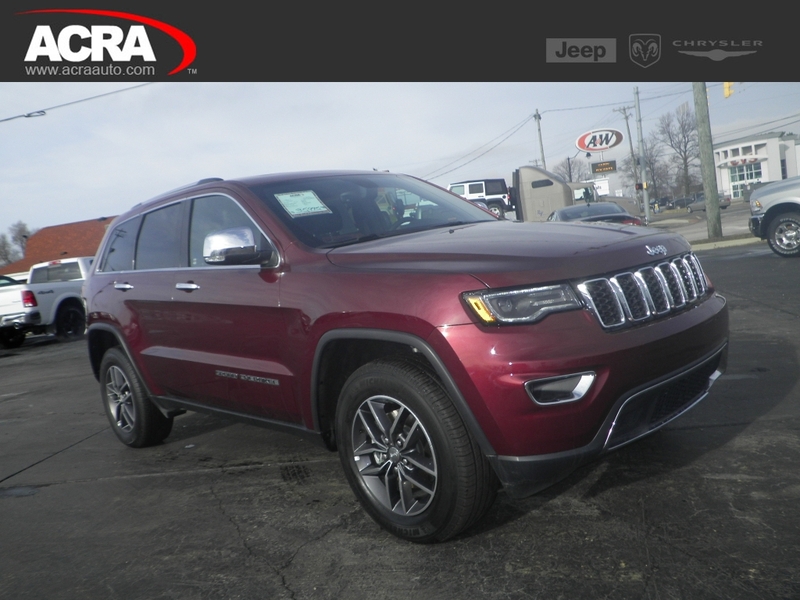 Acra Chrysler Dodge Ram Jeep in Greensburg IN, Acra Pre-Owned Superstore in Columbus and Shelbyville IN, and Acra BuyRight in Greensburg have the new and used SUVs for sale that you want at prices you can afford. Acra Automotive Group is known for having a large and diverse inventory. Acra Automotive Group is also known for having some of the best and most affordable prices around to help fit into almost anyone’s budget. We are proud to provide the Columbus, Franklin, Greensburg, Hope, Indianapolis, and Shelbyville, Indiana areas. We welcome you to view our online inventory of new SUVs for sale in Indiana and used SUVs for sale that you can quickly search by make, model, and price. If you are in the area, see them in person at Acra Chrysler Dodge Ram Jeep in Greensburg IN, Acra Pre-Owned Superstore in Columbus and Shelbyville IN, and Acra BuyRight in Greensburg today. One used Jeep to consider is a Jeep Wrangler Unlimited Oscar Mike used SUV for sale near me in Shelbyville IN. This used SUV for sale near me is equipped with an impressive 3.6-liter V6 engine. This Oscar Mike used SUV for sale near me boasts an incredible 285 horsepower and is ready to tackle an off-road adventure. This Oscar Mike used SUV for sale near me comes equipped with Bluetooth Connection. Bluetooth allows you to make wireless calls with ease as well as listening to your own music without the need for extra cords when you buy this Oscar Mike used Jeep for sale. This used Jeep Oscar Mike has many other desirable features too! An MP3 compatible radio, steering wheel audio controls, and a leather-wrapped steering wheel are just a few. Come out and take this fantastic used Jeep Wrangler Unlimited Oscar Mike out for a test drive to see if it is the one for you today. If this used Jeep Wrangler for sale is not what you are looking for, come and see one of the many other used Jeeps for sale. Like a used Jeep Grand Cherokee for sale at Acra Shelbyville. Stylish, reliable, and versatile are just a few words that come to mind when describing this used Jeep Grand Cherokee for sale. The used Jeep Grand Cherokee comes with a 3.6-liter 6 cylinder engine that gets an incredible 293 horsepower. Can’t miss features like push-button start, satellite radio for commercial free listening and a rear parking aid plus a backup camera for easier than ever parking are just a few of them. Another great feature that this used Jeep Grand Cherokee comes equipped with is a navigation system. This is a wonderful feature for when you are driving into unknown areas without the worry of getting lost when you buy this used Jeep Grand Cherokee for sale. Come out and check this used Jeep Grand Cherokee and take it for a test drive down the streets of Shelbyville IN today. 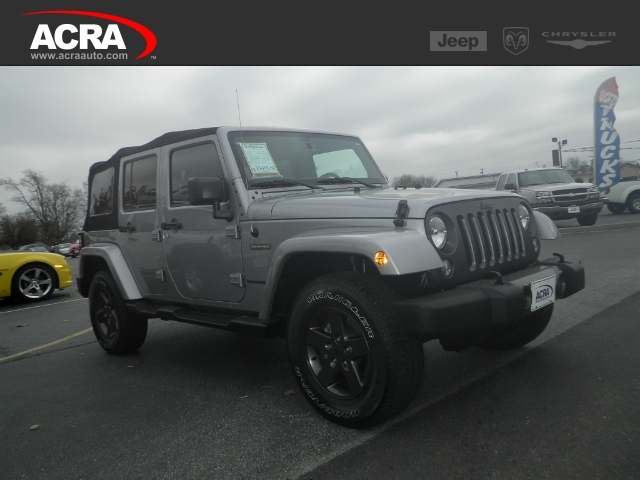 Whether it is used Jeeps for sale or another one of our new or used SUVs for sale near me, you are sure to find your next vehicle at Acra Automotive Group. Proudly serving Columbus, Shelbyville, and Greensburg buyers, Acra Automotive Group is here for all of your used SUV needs. You can find Acra Chrysler Dodge Ram located at 1407 North Lincoln Street in Greensburg, IN 47240. Looking for something used that you can’t find at Acra Chrysler Dodge Ram Jeep in Greensburg IN? Check out our other Acra Auto Group car dealerships. Acra Pre-Owned Superstore is located at 2820 North National Road in Columbus, IN 47201. Acra Pre-Owned Superstore is located at 1200 East State Road 44 in Shelbyville, IN 46176. Acra BuyRight is located at 920 North Michigan Avenue in Greensburg, IN 47240.